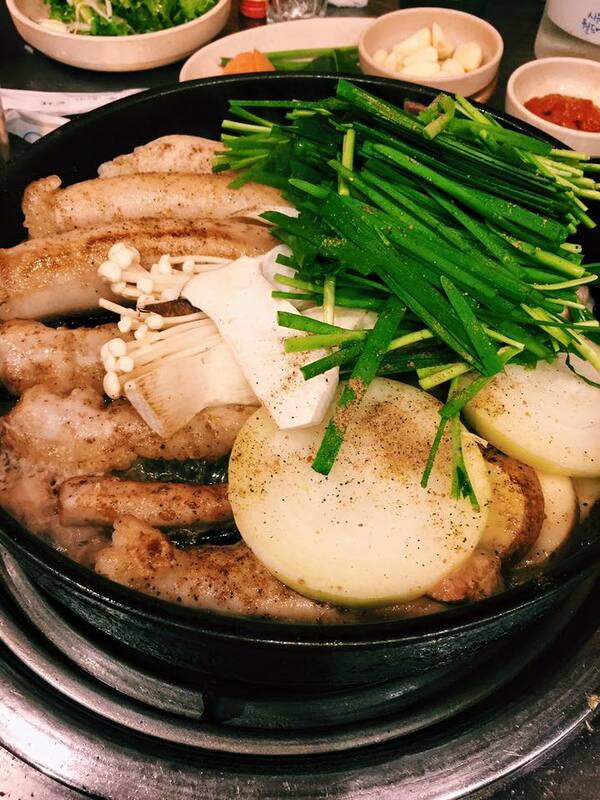 Hwangso Gopchang is a very famous and popular restaurant in Sinchon. and has been around for more than 60 years. So what is gopchang (곱창)? 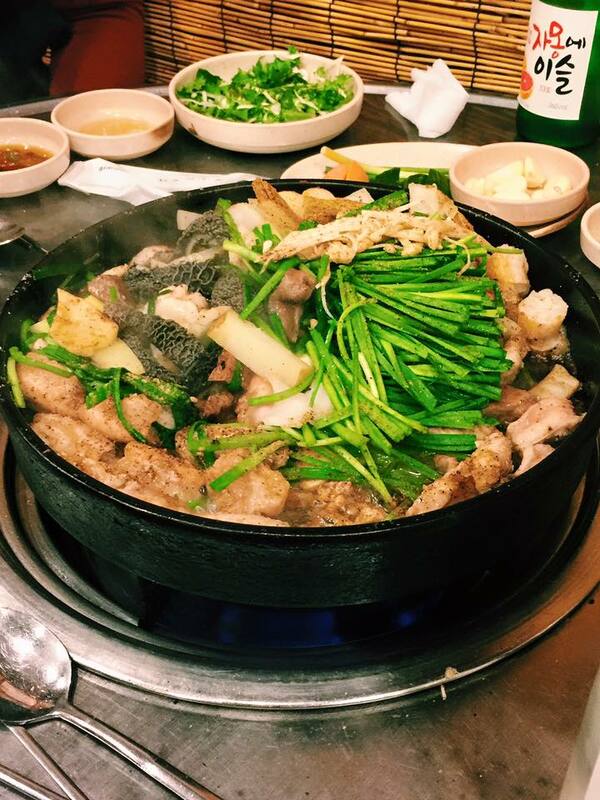 Gopchang literally means is a dish of grilled intestines of cattle or pork. The intestines can be classified into several different parts including Gopchang(or Sochang – small bowel), Daechang(large bowel), Makchang, Yang and Beoljipui. 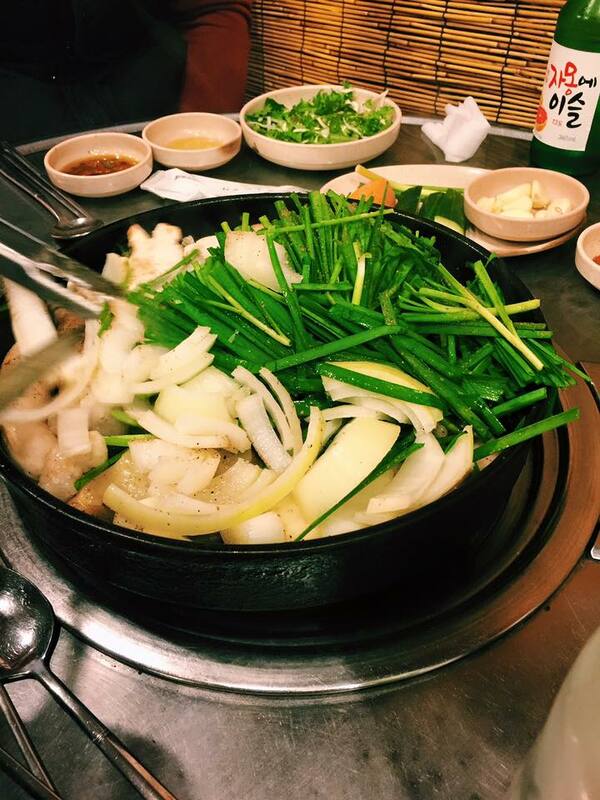 Hwangso Gopchang marinates their intestines for 4 hours before serving. The process of marinating gives the intestines softer texture creamy texture and tastier. It crisps in a pan with vegetables for 15 minutes or so and then you eat it. And since the parts are from cattle, the prices are not that cheap compare to pork intestines. Because comparing to lamb or pork Cattle intestine have MASSIVE collagen to take in. And they are fresh and delicious. Get off at Sinchon station(Line 2), take Exit 2 and go straight about 150m. Turn left at T-World(SKT) and go straight for about 3 minutes. You will find Hwangso Gopchang on your left at the end of the street. 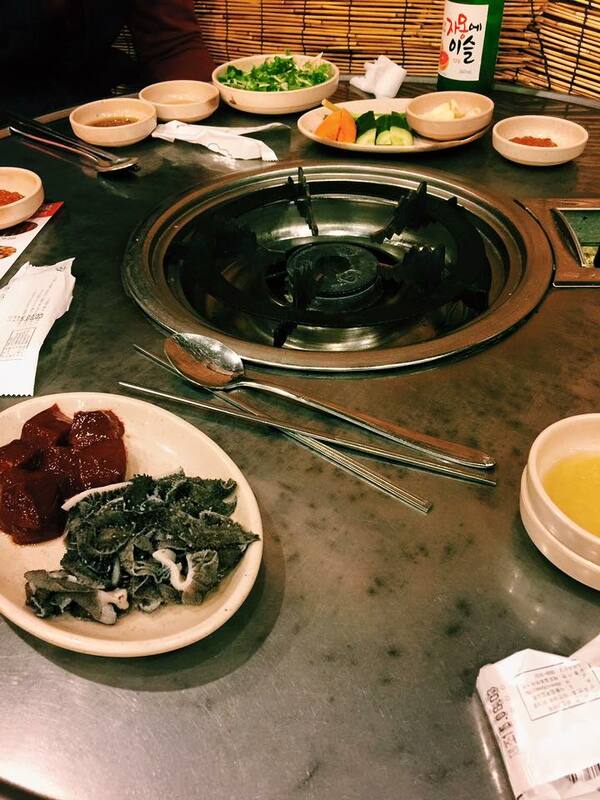 This entry was posted in FOOD and tagged bbq beef intestines, Daechang, Gopchang, intestines, Korea, Korean food, Makchang, Sinchon, 공창, 신촌, 신촌맛집, 황소곱창.